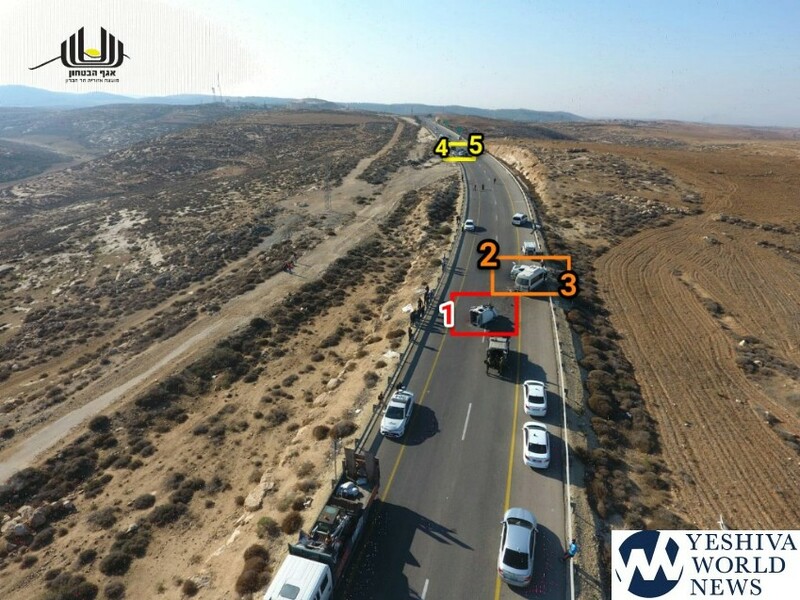 There was a fatal vehicular accident early Thursday morning, before sunrise, between a Palestinian minibus and four Palestinian vehicles on Route 60 at Metarim Junction southbound. One man was killed, and 20 persons injured. Magen David Adom treated the victims, including a 30-year-old male who was pronounced dead on the scene. Two persons, in their 30s, sustained serious injuries and five victims were in moderate condition. The victims were transported to the trauma unit of Soroka Hospital in Beersheva. Eight of the victims, including two in moderate condition and six in light condition, were transported to Hebron by the PA Red Crescent. Six people were killed earlier in the week when a truck and a Palestinian minibus collided on Route 90. Four persons were seriously injured and three light. 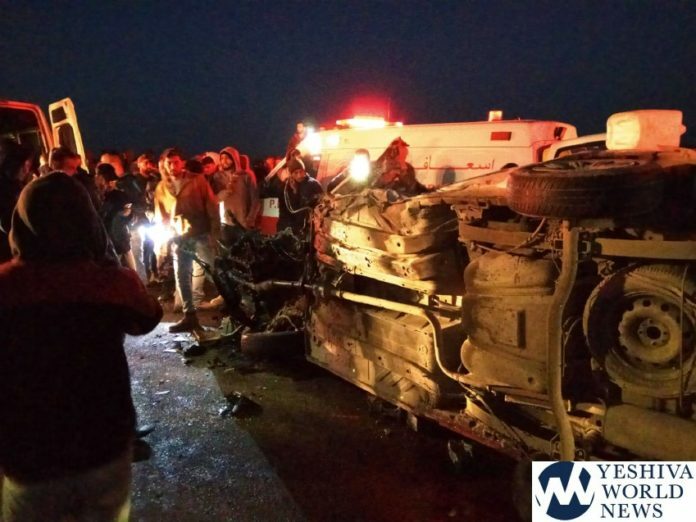 The accident occurred near Petzael in the Jordan Valley. 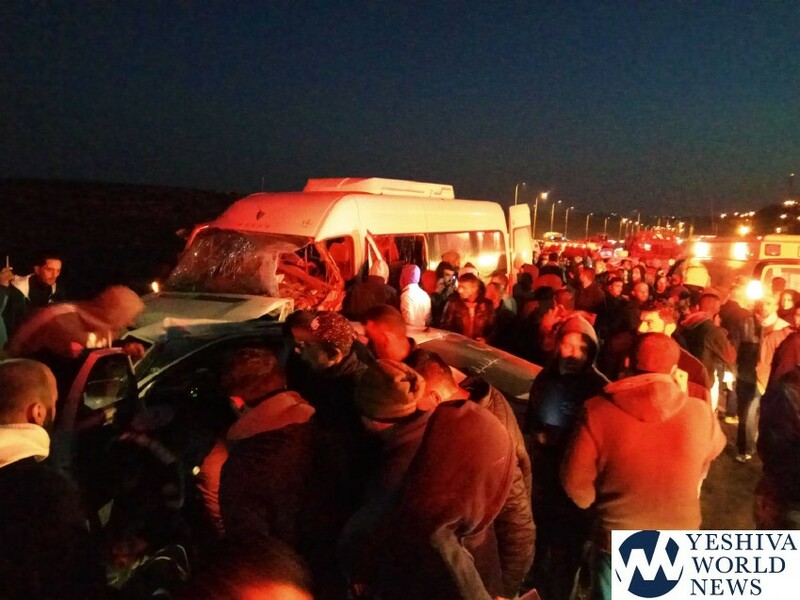 The fatalities were PA residents heading to work from eastern Jerusalem to the Beit Shean Valley area.